Summary : Legendary TV actor Adam Cheng (ZU, WARRIORs FROM THE MAGIC MOUNTAIN) reprises the role that made him famous in this exciting new adaptation of the popular martial arts by Louis Cha (aka Chin Yung)! The rebellious Red Flower Society, led by their charismatic leader Chan Gar-lok (Cheng), attempts to assassinate the Ching Emperor Qian Lung (also played by Cheng), As Chan and his fellow fighters organize to carry out their goal, however, a shocking discovery leads to a fierce showdown and Chan's exile to the western frontier and his acquaintance with the legendary Princess Fragrance (Liu Ying). Together with the nomads, Chan executes a daring return to the capital and an audacious plan to capture Qian Lung once and for all. 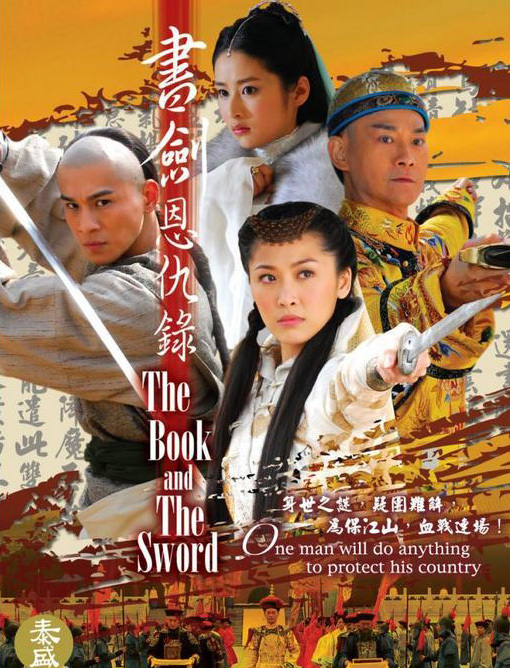 Filled with spectaclar martial arts action, THE BOOK AND THE SWORD is a rousing tale of honor, patriotism, and brotherly love.